How to keep your wine and spirits in style? 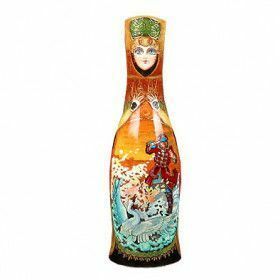 Why not keep your vodka or other drinks housed in style with these imported Russian bottle holder nesting dolls? They are cute, charming, sneaky, and full of fun! A perfect balance of Russian folk art, and practicality, our wooden bottle holders will be the life of your next party!